The Harley-Davidson® Kedvale boot gives your rider-inspired look some serious edge. Full grain leather upper with silver-tone hardware at collar and instep. 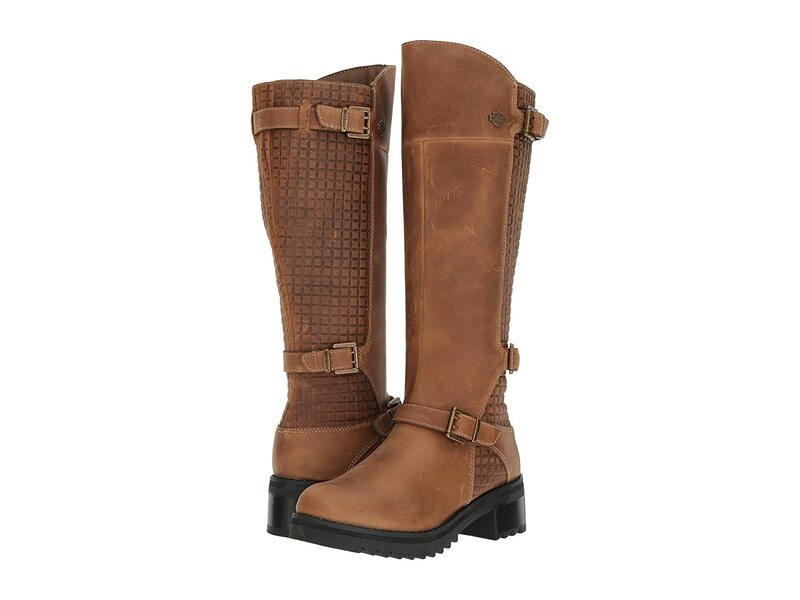 Features straps with adjustable buckles at shaft and ankle. YKK® side zipper for easy on and off. Cement construction allows for long-lasting durability. Chunky heel for added stability and style. Lightweight rubber outsole with unique traction pattern for better grip.